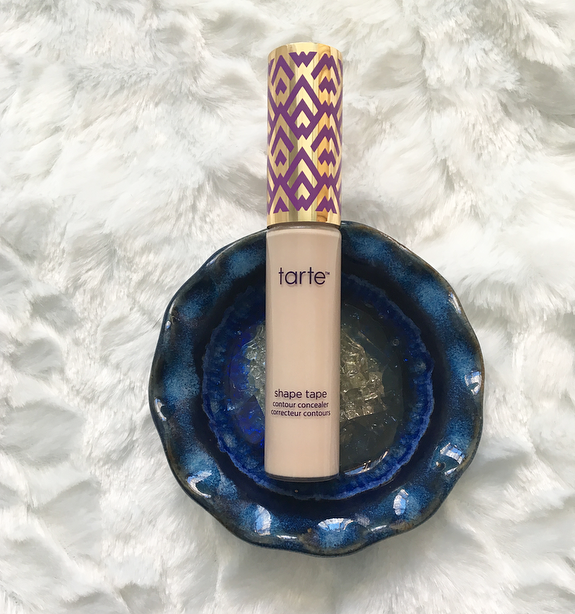 I've you've been on YouTube at all in the past few months, chances are you've seen someone raving about the Tarte Shape Tape concealer. It's an Ulta exclusive and luckily it was in stock during my last shopping trip. I've been testing it out for the past few weeks and I'm ready to share my thoughts! First of all, I have a love/hate relationship with the packaging of this concealer. I love how much product you get and the pretty gold and purple lid. However, the doe-foot applicator of it is massive which makes it difficult to get a precise application of this. Considering you need the smallest amount of this concealer to cover a spot, I can't use this applicator to cover a blemish. It's not awful for under the eyes, but I'm so used to a smaller applicator that I feel like I still apply too much. In demos that I've watched it seems like people use waaay more than you need to. It's so high coverage that a few small dots will spread all over the undereye area. You can also use this concealer for highlighting and contouring if you buy shades that work for those purposes. In comparison to the other higher-end concealers I've tried, this one is about as thick as the NARS Radiant Creamy but has more coverage. It's a little bit harder to blend in my opinion, I have to use a damp sponge instead of a brush. It dries with a semi-matte finish and I like to set it with powder immediately just in case. I don't think this concealer would be prone to creasing, but I need my makeup to last. On full makeup days or when I have bad blemishes, this has become my go-to! It can cover up any redness and when paired with a corrector, my dark circles completely disappear. It's definitely my new favorite concealer, beating out my Bareminerals Bareskin and NARS Radiant Creamy. If you have an especially dry undereye you may not like this because it's a drier formula, but other than that I think that just about anyone should try this! It's currently Ulta exclusive in the US and you can buy it here. 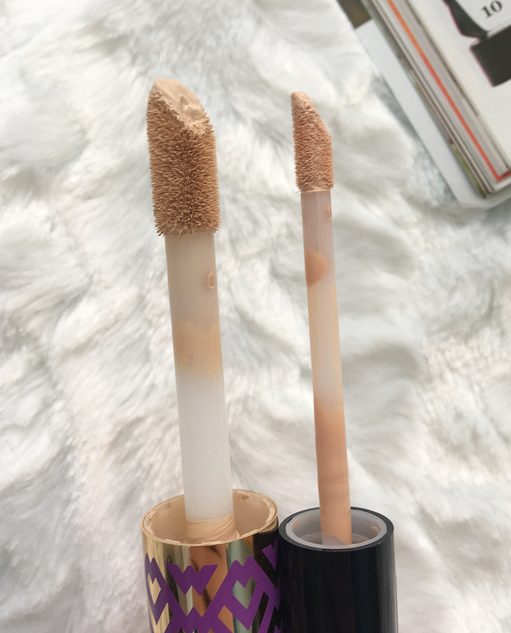 8 comments on "Tarte Shape Tape Concealer: Worth the Hype?" Th applicator looks huge! This sounds really good, i haven't tried anything from Tarte so i'll look out for this. My under eye is dry so it does emphasize the lines which I hate. But it does give me great coverage! I've read somewhere to decrease the appearance of fine lines, to tap on some loose powder with a damp sponge (instead of a brush) so I'll try that. I do agree about the applicator, I've never seen one so fat before! I'm dying to try this. I've heard amazing things about it! I am so desperate to try out this concealer, I have heard amazing things! Great post! I want to try this product!I've heard great things about it!